"When I went to Egypt for the first time with my mum." "Rihanna – ‘California King Bed’"
"Chocolate fudge cake or ice cream." "People who are funny, kind and relaxed." "Zac Efron, The Queen and Stephen Hawkins." "People saying thank you when you let them out at a junction, people smiling and seeing my dogs after work all giddy to see me." 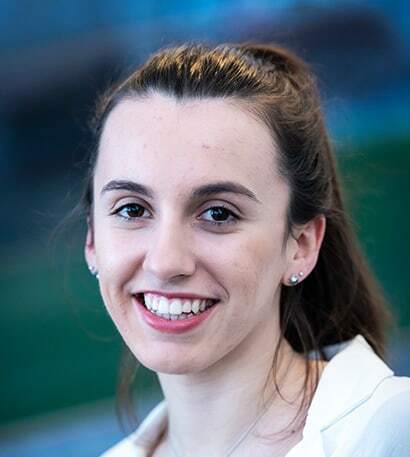 Olivia began working at PenLife as an apprentice, and is now a member of our administrative team. Her day-to-day role involves supporting the advisers to ensure they have everything they need for their meetings. She prepares valuations and completes paperwork. Olivia’s main interest is reading books and watching videos on everything from conspiracy theories to how the world was created; just anything that will blow her mind! She loves spending time with her family and their two crazy dogs.